Meghan Marks is the senior director of worldwide demand generation at Puppet, the company driving the movement to a world of unconstrained software change. In her role, Meghan is responsible for driving Puppets business growth and go to market through integrated marketing. 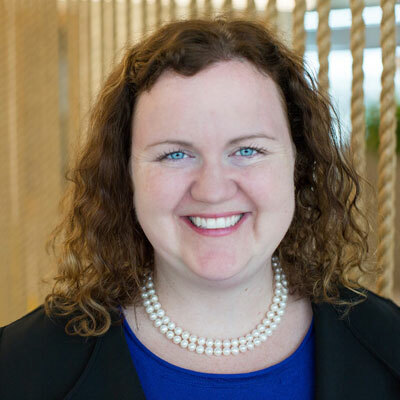 Prior to her role at Puppet, Meghan led global marketing for Siemens Smart Grid, Siemens' software business. Prior to Siemens, Meghan held leadership positions at companies including eMeter Corporation, Serena and RadiSys Corporation. She holds a bachelor's degree from Oregon State University. When I started at Puppet over two years ago we had channel partners signed on, however we weren't engaging in joint marketing activities in a programmatic way. We started three new initiatives to change the way we were thinking about our channel business: Global Market Development Fund (MDF) Program: We launched a new MDF program to fund activities with and through our channel partners to drive brand awareness and help accelerate revenue opportunities. Channel Communications: We rolled out a Partner Advisory Board to engage a select group of partner executives who provided feedback to help us formulate our partner strategy. Partner Marketing Team: As we have expanded our partner focus at Puppet I worked to build out how a partner marketing team would work and hired a partner marketing team to focus solely on channel and alliance partners across the globe. Over the last 18 months, we have been focused on driving a partner-centric transformation at Puppet. This year, we are looking to expand our channel partner program further by focussing on increasing the percentage of partner business in all theaters and across the globe. On the marketing side, we are rolling out a series of global marketing programs for our partners, such as campaigns-in-a-box, channel specific bundles and incentives, co-branded content, Puppet-led marketing activities as well as a number of joint regional activities. We are also furthering measurement efforts around our MDF, ensuring we are funding the highest performing programs. I recently received an award as part of Puppet's President's club, which honors top performers in the go-to-market organization. I was recognized for my leadership driving global marketing strategy which resulted in direct revenue for the company. I greatly admire the women of the #MeToo movement - it's energizing to witness the clarion call for equal treatment of women in the workforce. Women in technology have come particularly far in the last ten years with regards to how we talk about equity and inclusion. Sheryl Sandberg's Lean In movement helped push the ball forward, but the women of the #MeToo movement have shed light on how far we have left to go. I would tell my 16 year old self to take even more calculated risks. It won't derail your plans because sometimes those challenges or risks you undertake are the best adventures and learning experiences. I've always loved design, and in particular UI design. While leading marketing allows me to spend time on the aesthetics of our public materials, I'm still very interested in how UI design methodology works and is applied as an avid software user. I've spent my whole career marketing software, and I've always been intrigued by the customers reaction to UI and how it impacts the entire experience. I just finished "Radical Candor" by Kim Scott. It provided great perspective on how to lead teams and drive thoughtful communications. It also provided expert advice on how to make decisions as a leader. It's easy as a leader to underestimate the impact of how you communicate and how it affects your team, and Radical Candor helped me formulate new approaches to communication and team engagement.